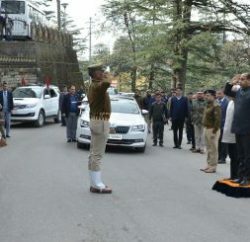 On the third day of budget session of HP Vidhan Sabha, the Opposition BJP again walked out from Assembly after their plea to refer the notice for the breach of privilege against Chief Minister Virbhadra Singh to the Privileges Committee was turned down by Speaker Brij Bihari Lal Butail. Even before the day’s business could be transacted, BJP leader Jai Ram Thakur requested to take a decision on the breach of privilege notice. Another BJP legislature Suresh Bhardwaj advised Speaker to refer the matter to Privilege Committee. The Speaker, however, turned down Opposition plea and said he had received notices of privilege from Congress and BJP and the Secretary was looking into it. The Speaker then started the question hour. Over it BJP members raised slogan and stages walkout from the house. 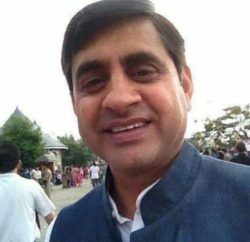 Parliamentary Affairs Minister Mukesh Agnihotri termed the opposition walkout unfortunate. Chief Minister Virbhadra Singh accused the Opposition of making the Assembly a playground for political vendetta. He urged Speaker Brij Bihari Lal Butail to take stern action against the BJP legislators so that the precious time of the House was not lost in the mindless sloganeering. The Chief Minister also accused leader of opposition Prem Kumar Dhumal for unleashing political vendetta against him. He said that Dhumal had registered two false cases based on false and fabricated documents or evidence against him, in which Court had acquitted. Chief Minister said that Vidhan Sabha cannot be allowed to be a playground for political battle and personal vendettas. He said that House was not meant for hurling abuses and shouting of slogans of personal nature against anybody. Singh said that such conduct has not been witnessed ever neither in Parliament, nor in Vidhan Sabha and urged Speaker to take cognizance of this matter. Congress legislature Asha Kumari also objected using derogatory remarks to anyone in the house. She said that nobody can bring pamphlets and wear such clothing in the House. 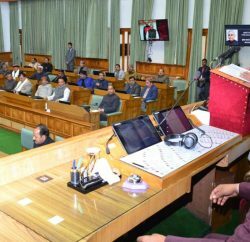 Cabinet Minister GS Bali also objected the behavior of Opposition and urged Speaker to take effective to step to stop such happening in the future. On the otherside, Leader of Opposition Prem Kumar Dhumal stated that a faction within the Congress wasn’t keen to end stalemate to ensure the smooth functioning of the House. Talking to mediapersons here today, Dhumal said that it was first time that the Leader of Opposition was not allowed to speak. Dhumal stated that he wasn’t scared of any inquiry and also not afraid to speak inside or outside the House. He said the government was free to hold as many inquiries in issues pertaining to the HP Cricket Association, Annandale, Bemloe Construction Company.